Hello there, did you hear the news? the wedding of the year happened last weekend! I wanted to send Aimes and her new hubby a card to congratulate them and wish them all the best in their future together. For the card, I started off by running the Lil' Inker Design Quilted Stitched Pattern die through my Cuttlebug on to a piece of white cardstock. This was then adhered to a white card base. I took the Simon Says Stamp Tilted Banner die, cut this with more white cardstock and stamped the sentiment on top. The sentiment is from the SSS Stitched Banner Sayings set. 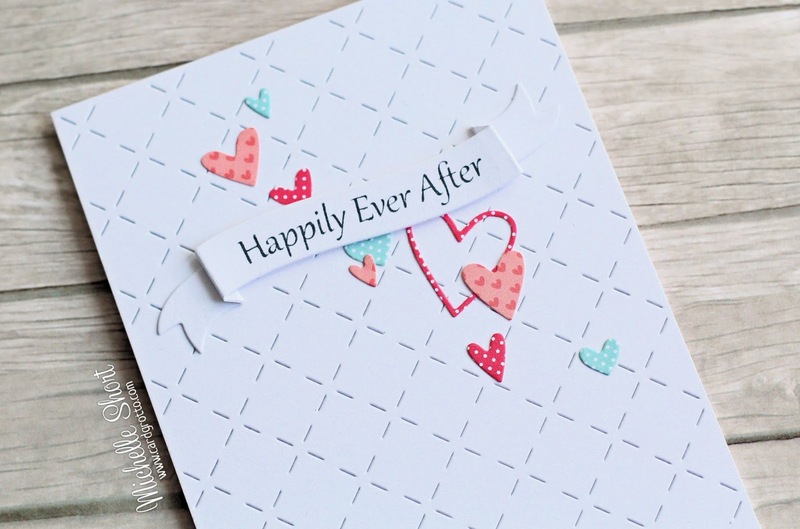 I then took the SSS Sweetheart Tag die and cut this using paper from the Doodlebug Lovebugs and Lovebirds collections. I also cut a few from the SSS Mini Hearts dies too and scattered these on to the card. Here are the links to what I used on the card. Please click the links to be taken to where I bought it. 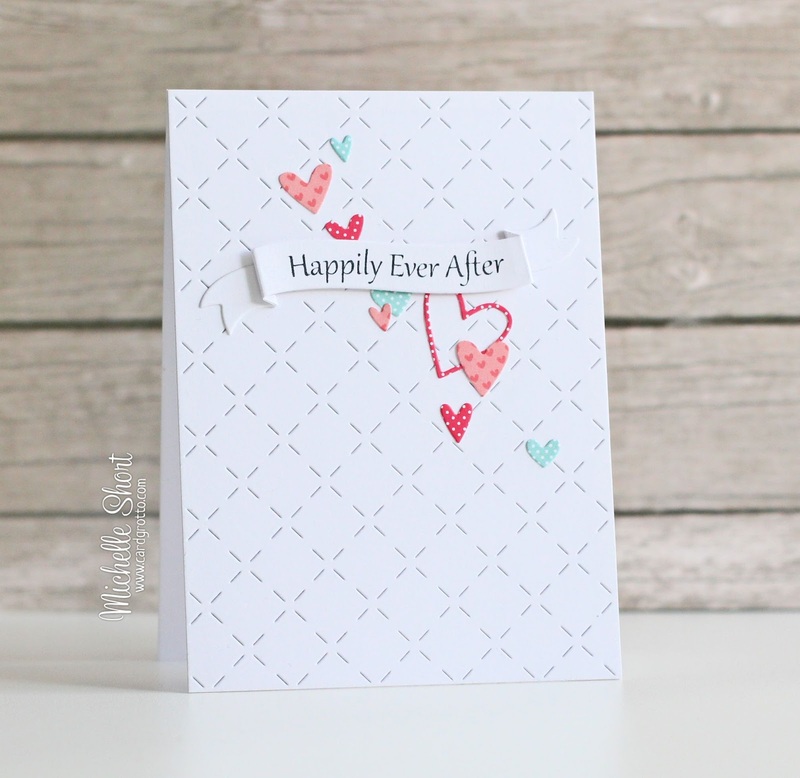 I cannot find a supplier for the Doodlebug Lovebirds Collection as it appears to be discontinued. I have linked to the Doodlebug website for it. I love all the different shaped hearts :) Thanks so much for visiting me today. I hope you have a great weekend! A really romantic card in a modern way - love it! FABULOUS! Love every single detail! Michelle, this is stunning! Love love love!